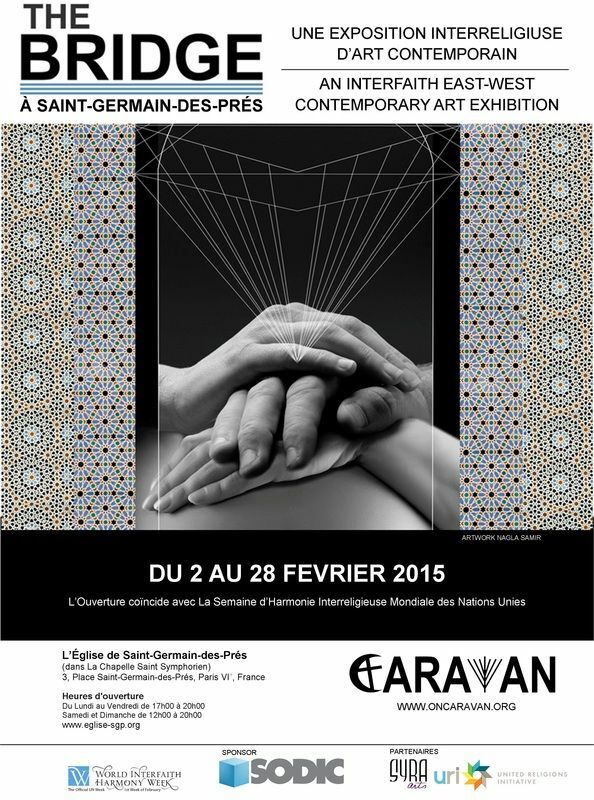 ​Curated by Lilianne Milgrom and CARAVAN founder, Paul-Gordon Chandler, The Bridge showcases paintings by 47 premier and emerging Arab, Persian and Jewish visual artists from Muslim, Christian, Jewish religious backgrounds, around the theme of what “bridges” us to each other. As a multi-religious group, the artists of The Bridge are making the case for using that which we have in common as the foundation for the future of our world. Within minutes of being invited to take part in the The Bridge exhibition as both participating artist and co-curator, the words of a popular Hebrew song began playing in my mind: Kol ha’olam kulo gesher tzar me’od, v’haikar lo lefached. (The whole world is a narrow bridge. The main thing to remember is not to be afraid). I was surprised to learn that these words are attributed to the rabbinical sage, Rabbi Nachman of Bratislav, born in Ukraine in the 18th century and the great-grandson of the founder of Hassidism, a mystical branch of Orthodox Judaism. These few words have survived intact over the centuries yet they capture the essence of this exhibition. If ever there has there was a time to reach across cultures, religions, borders and peoples in order to pull the world back from the brink, it is NOW. 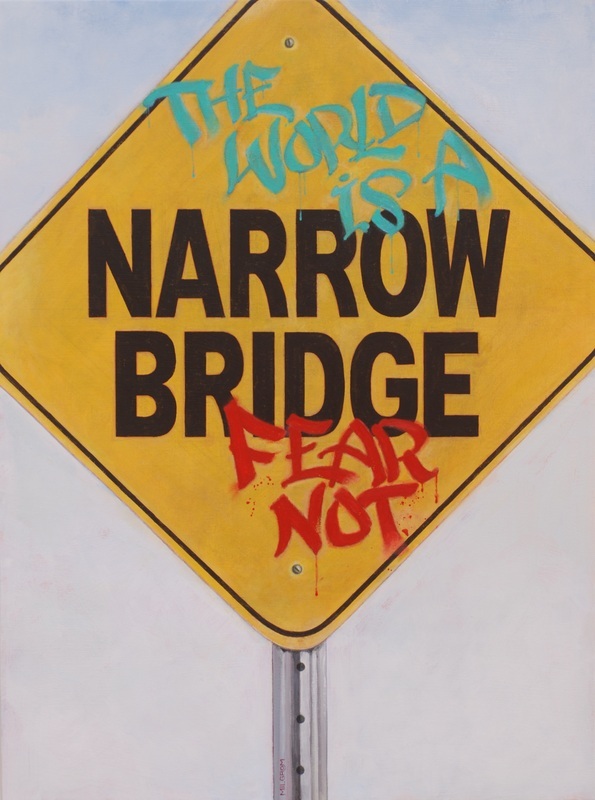 My painting ‘Narrow Bridge’ is a contemporary reminder that in order to bridge our differences we must conquer our fears and reach across that narrow bridge without looking down. 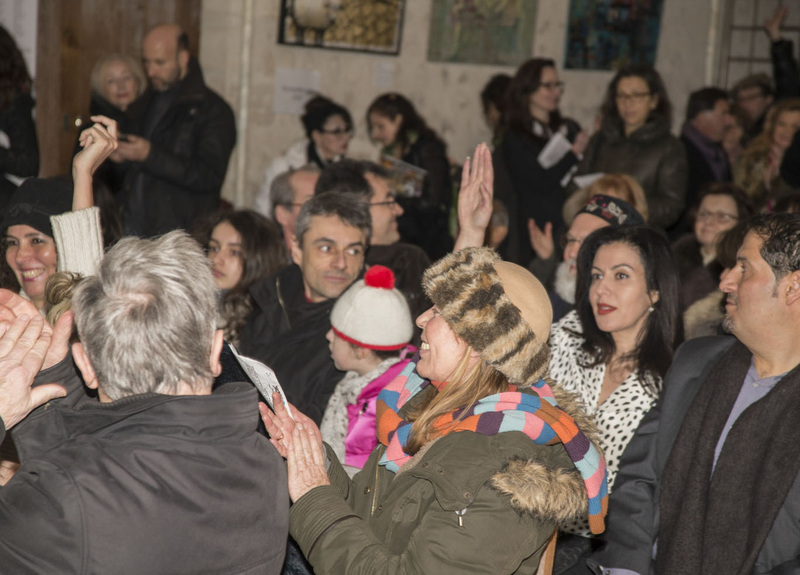 ​ Following the tragic shooting in Paris on the 7th, January, 2015, at both the Charlie Hebdo offices and a Jewish grocery store, there was a quickly growing concern that hate crimes against both Muslim and Jewish people might increase. 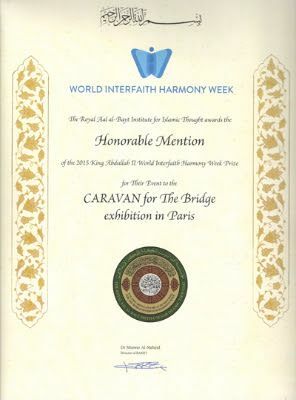 It was within this context that CARAVAN’s The Bridge exhibition launched in Paris on February 2, 2015 at the historic Church of Saint-Germain-des-Prés, in the Latin Quarter, the oldest church in Paris. The works were exhibited in the ancient Chapel of St. Symphorian, which was used as an armory during the French Revolution. Thousands of people viewed the exhibition over the course of a month. Visitors came from all over the world, leaving personal messages and comments. "The Bridge is a space to meditate and think about linking each human being with another"
"All is Possible - The Bridge offers moments of humility and LOVE in appreciation for diverse expressions coming together in a sacred space in connection with, and to, the Beauty coming through each art form"
READ LILIANNE MILGROM'S ARTICLE BRIDGING OUR DIFFERENCES IN ART AND BEYOND MARCH/APRIL 2015 ISSUE.